English engineer and communal worker; born in London July 21, 1854. He was trained as an engineer, but developed great interest in matters relating to art, and in 1887 he suggested the idea of the Anglo-Jewish Historical Exhibition, of the executive committee of which he was honorary secretary from inception to close, besides being the leading spirit of the whole movement. He was president of the Jewish Historical Society of England from 1902 to 1904. The experience gained in the Anglo-Jewish Historical Exhibition enabled him to be of great assistance in arranging the historical exhibits relating to the Tudor, Stuart, and Guelph periods at the New Gallery (1890-93). He was appointed honorary secretary and director of the British section of the Brussels Exhibition in 1897, in connection with which he was made an officer of the Order of Leopold. He was also honorary secretary and director of the British fine art section of the Paris Exhibition (1900), the Glasgow Exhibition (1901), and the St. Louis Exposition (1904). In recognition of these services he was knighted in 1905. Asked to take a similar position with regard to the Russian Fine Art Exhibition in 1902, he indignantly refused on the ground that on account of being a Jew he would have to ask permission to enter Russia as a favor. 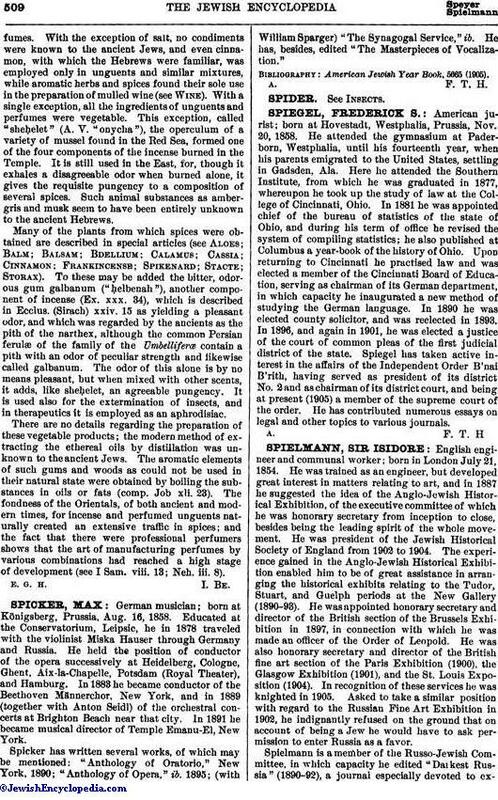 Spielmann is a member of the Russo-Jewish Committee, in which capacity he edited "Darkest Russia" (1890-92), a journal especially devoted to exposingthe ill treatment of Jews by the Russian government. 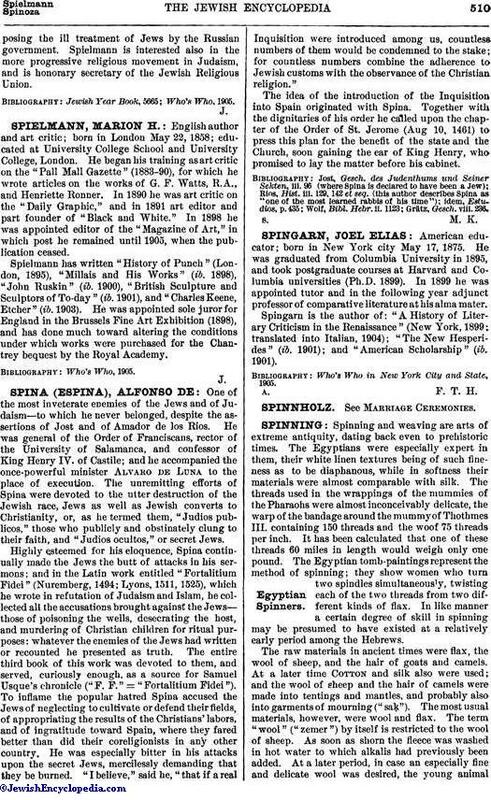 Spielmann is interested also in the more progressive religious movement in Judaism, and is honorary secretary of the Jewish Religious Union.